Royal Chundu is a haven of quiet solitude and untouched beauty and has recently been voted Zambia’s leading Safari Lodge for the 5th year running at The World Travel Awards. Royal Chundu comprises of two luxurious lodges on their own private stretch of the mighty Zambezi River ensuring absolute peace and privacy for guests. Royal Chundu was created in complete harmony with its natural surroundings and embraces the tradition and geography of the area while incorporating stylish and sophisticated accommodation, world-class service and sumptuous pan-African cuisine of which it is MOST famous for! 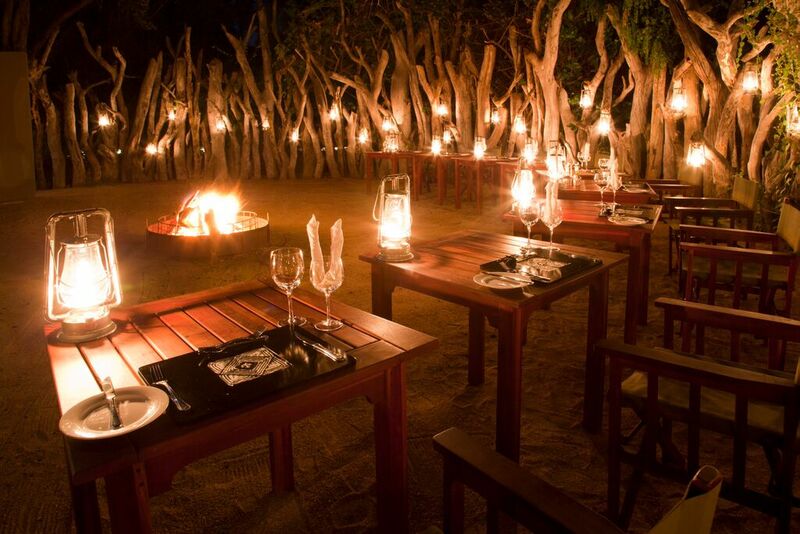 Wining and dining at Royal Chundu is a once-in-a-lifetime experience. The team of chefs, under Chef and Food & Beverage Manager Sungani Phiri, take great pride in preparing dishes that mirror the rich heritage of the region and the hospitality of the Zambian people. “We use ingredients that are truly Zambian and weave them through our cuisine.” Says Sungani Phiri. While the presentation is international in appearance, the Zambian flavour is present in every meal: from the berry-smoked quail (grown locally at the local village school), to poached seasonal cumquats, to watermelon (a local specialty) and feta salad, to spinach creamed with ground peanuts, a staple Zambian crop. The lodge purchases fresh fish, such as bream, from local fishermen. Together with the support of the local communities, Royal Chundu strives to enhance the conservation and unspoiled beauty of this land, river and its islands, ensuring it will be enjoyed for the future generations. 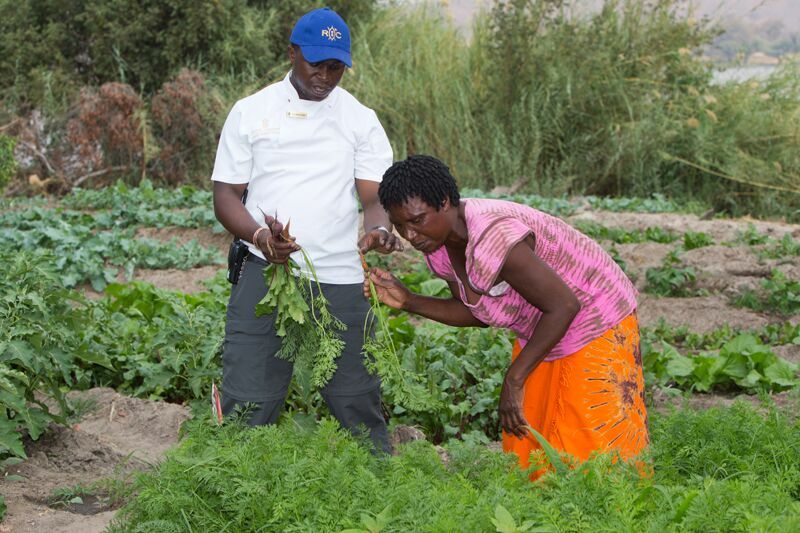 At Royal Chundu, all fresh supplies come from a 3km radius of the lodge to minimise the carbon footprint, provide income for the local community and farmers and deliver absolute freshness and taste to the guests. The lodge kitchens recycle all biodegradable waste which is used as compost for the on-site, organic vegetable garden. In addition, that lodge has their own free-range chickens and fresh eggs every morning. All water is recycled and purified on the premises. 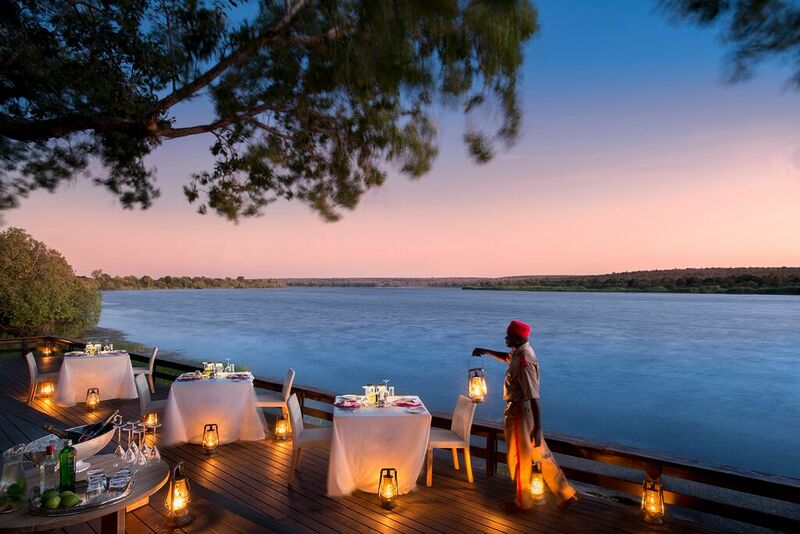 Recently Sungani introduced the Zambian tasting menu to the dining experience at Royal Chundu. “The Zambian tasting menu started as a joke with my sister Thandi who spoke about how it didn’t make sense to celebrate other internationally recognized cuisines based on vast amount of ingredients that our beautiful country has to offer. Everyone has a cuisine, the French, the German and everyone else around the world, we needed something truly Zambian. The Tasting menu is a true representation of Zambian culture,” says Sungani. A welcoming drink “aperitif” that is served in homes, it is made from small mealie rice. The perception of this cocktail is to create an essence that it stayed overnight and fermented. The important ingredient is the chibwantu root that you soak in the porridge made of the above mealie rice. This is a drink mostly enjoyed by the indigenous Tonga people who were the first settlers in Zambia. Impwa “golden egg” is a vegetable which tastes more like aubergine and is grown and eaten widely in Zambia. Our version of an amuse bouche! It is cooked the Zambian way with tomato and onion and a slight twist is the addition of orange, feta cheese and the Sauvignon Blanc placed on a peri peri sauce. Being situated on the Zambezi River and having fish on the menu is obvious as it is always available. Bream is what most homes in Zambia prefer because it is not full of bones and is very versatile. The three different methods we use to cook the Zambezi bream are pan frying, poaching and braising with a white wine for the dry bream served with sweet and sour mundambi puree and mundambi jelly which is extracted during the boiling process of this indigenous Lozi vegetable. Aside from the common fresh fish that is used in this dish, dry fish is a preservation method commonly practiced in Zambia. Free range organic chicken that is found everywhere around Zambia both rural and urban is a delicacy in every home. Traditionally when one visits, a chicken is prepared for you as a form of welcome and appreciation. Protein happiness, the name explains itself as it is a selection of five different local ingredients on one of which is known as Zambian polony “chikanda”. The other four being smoked local beef, venison stew, venison lolly pop and visashi “spinach in pounded groundnuts” and finished off with local caramelized greens and our staple food which is Nshima. Nshima is made from maize meal or in Zambia it is called mealie-meal, every home in Zambia depends on this meal, whether it is breakfast, lunch or dinner. Sour Milk Cheese Cake with Musika (Tamarind) Jelly. Normally in Zambian homes typical desert would be left over nshima which would be slightly mashed, add sugar and sour milk “mabisi”. 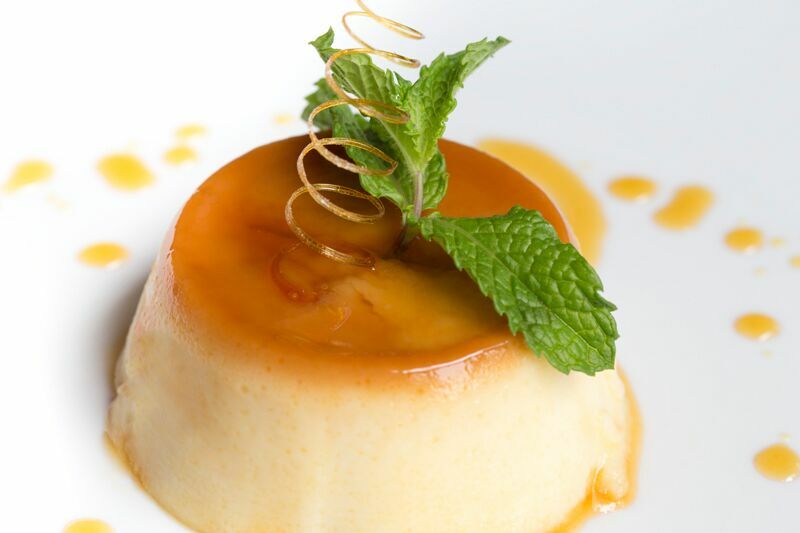 From an international aspect, they have balanced the biscuit base with a sour milk filling & then added a sweet & sour twist with tamarind jelly & tamarind sorbet. 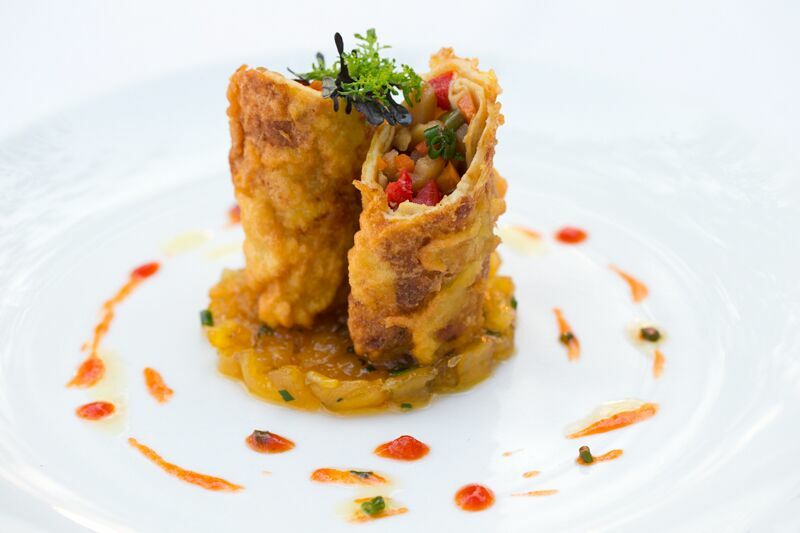 Take it from us, this unique cuisine tastes just as good as it sounds if not better! The Royal Chundu and its truly Zambian experience is definitely worth a visit and we promise to get you there as quickly and easily as possible! In fact why not go on an African Food Safari – we’ve got plenty of other gems you can visit too. Click here for more.